We love to encourage creative thought along with helping children to express their understanding of various animals. Sorting is a wonderful way to help children describe the attributes of objects or pictures. The best part is there is no right or wrong answer! Children can explain their thoughts and if they make sense, then the sort is correct! 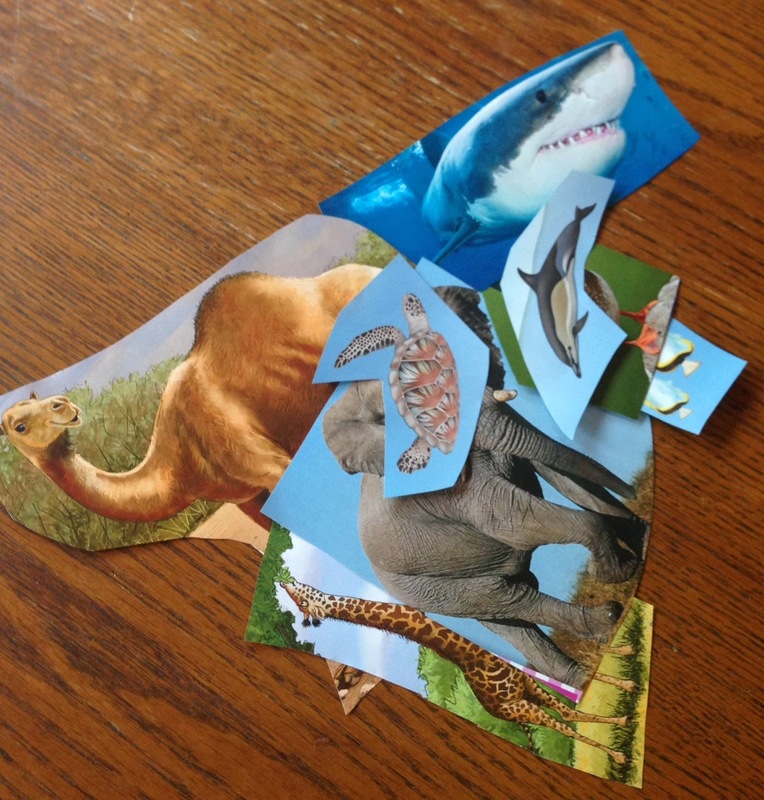 To help children think more about animals, we cut out several pictures from magazines. We avoided cutting them in perfect squares or circles to model that any shape was fine as children often avoid cutting something out because they think it must look perfect. A variety of pictures were cut out. The caregiver did not know how the child would sort them. Ask children to look at all of the pictures and to talk about what they see. You may be surprised at what children notice. Some children may talk about an animal’s coloring while others may describe features such as number of legs, if it has fur, or can fly. These are important and can lead to many questions such as, “How does this animal get from place to place?” You can even introduce scientific vocabulary such as migrate to talk about animals that move, depending upon the weather and food supply. 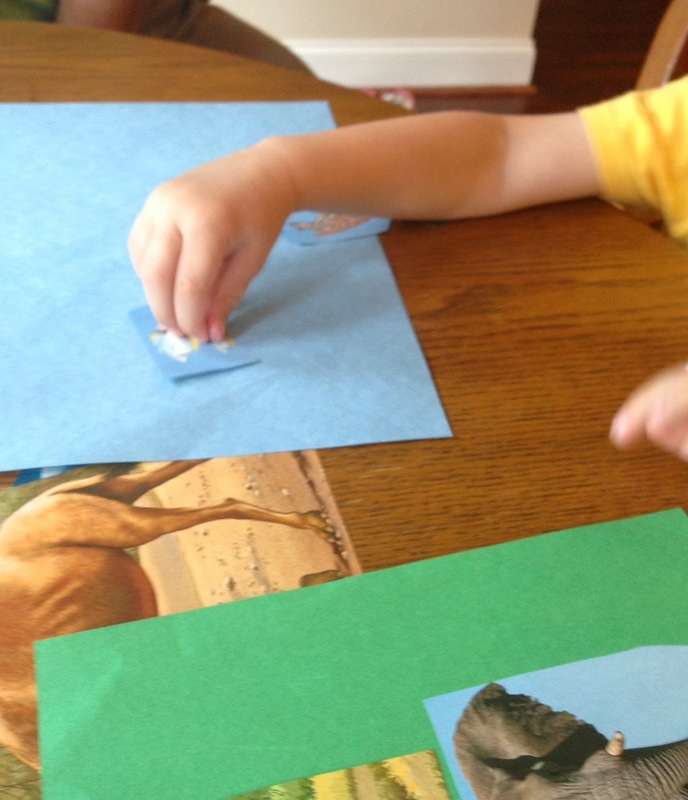 Give children various papers and have them place the pictures in groups. You will see below that this child first started placing animals that had a pattern together. Then he changed his mind. Asking children to explain this is a good way to develop expressive language. The child began to sort by pattern. After some thinking time, which is what we at Maggie’s Big Home love to encourage for anyone, the child decided to arrange (or sort) his animals according to where they lived. He chose to put all the animals that lived on land together and those that lived in the water together, as shown below. 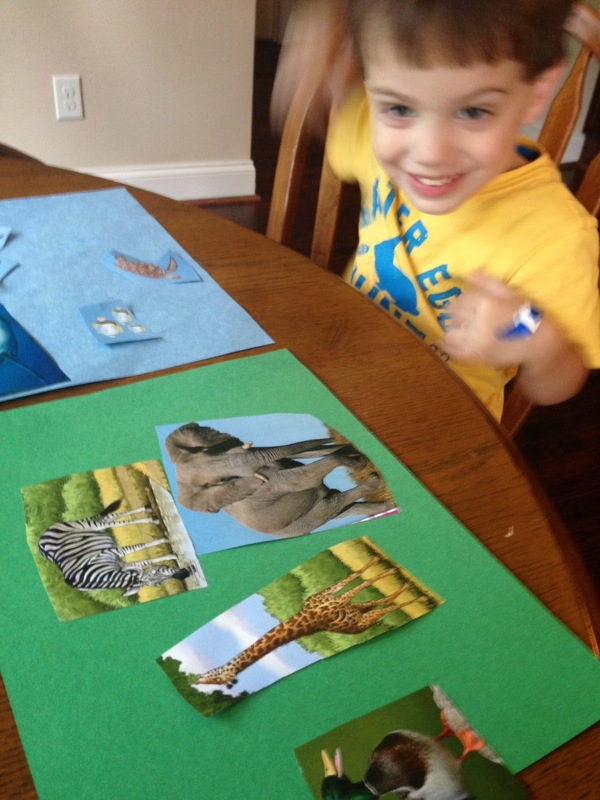 The child talked about his choices as he glued the pictures. 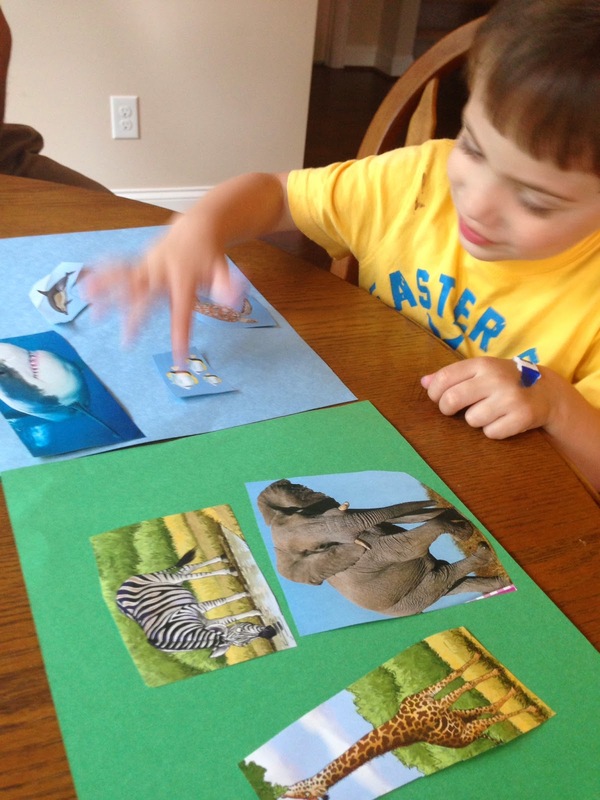 The child explained why each animal belonged in the category (habitat). He thought very carefully about the duck and had a difficult time placing it as living on land or in water. He finally was able to say, “I think he sleeps on land.” That is where the duck was glued in his sort. Some choices don't fit "easily" into a sort. Giving children time to consider their choices helps them to discover the power of their own thoughts. 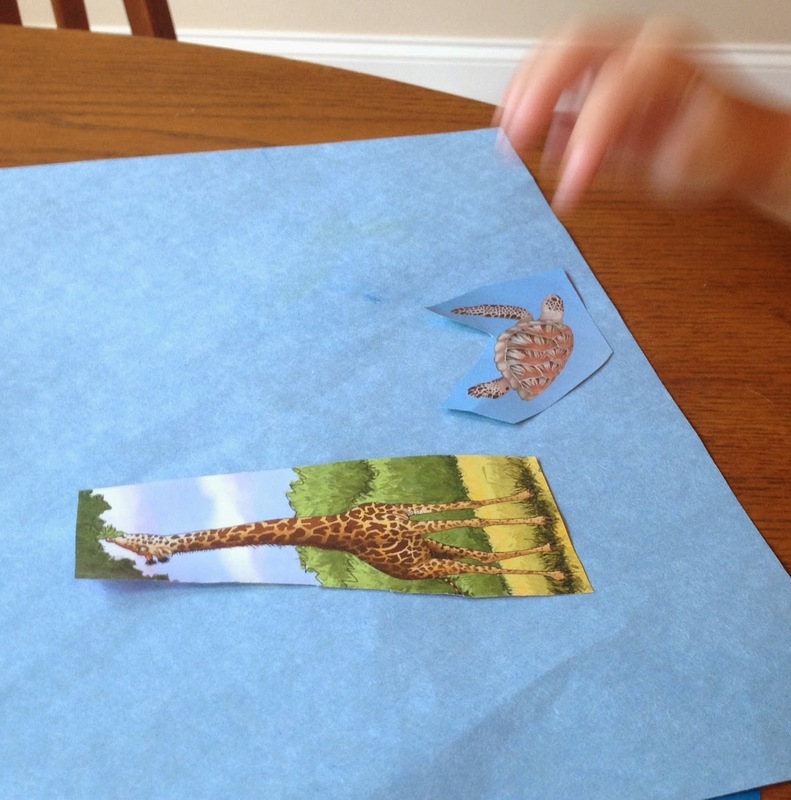 One final note, while this activity helps children think about animal attributes, it also develops expressive language not to mention that gluing is sure to strengthen hand muscles to aid in fine motor development.